Looking "where to sell my Aston Martin DB6?" Ask the Chicago Car Club! Are you wondering "where to sell my Aston Martin DB6 ?" The Chicago Car Club is interested in classic cars of all makes and models, especially a Aston Martin DB6. 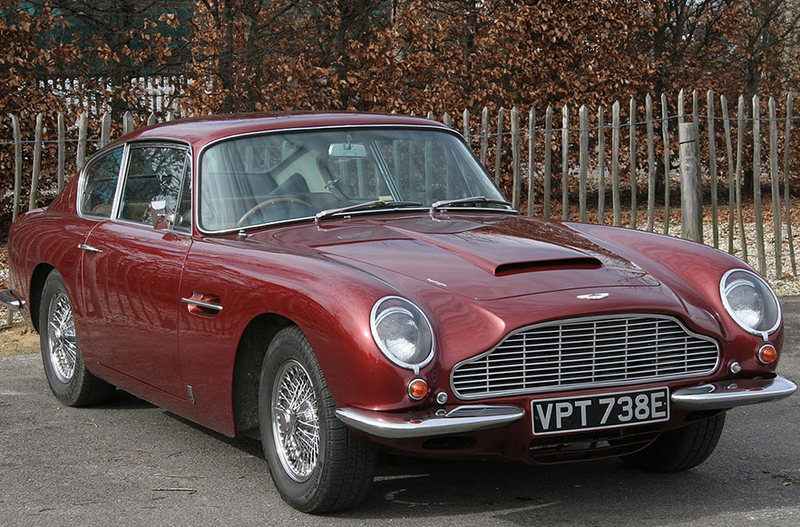 We make the process of selling your Aston Martin DB6 quick and painless. In just a matter of hours we will have your classic valued and, if you do so choose, turned into money in your pocket. All it takes is a phone call or electronic inquiry to get the ball rolling. The Aston Martin DB6 was a 2-door coupe produced between 1965 and 1971. It had the longest production run of the “DB” models, named after David Brown, the founder and head of Aston Martin, from 1947-1974. Design changes, from the DB5, included body changes, such as the addition of the Kamm tail rear spoiler, that decreased aerodynamic lift in the rear, making it hug the road better at high speeds. It was considered a grand touring car. It had increased legroom and luggage capacity, and a smoother suspension than previous models, which made for a nice family car, with a racing heritage. Air conditioning was even an option. The DB6 came equipped with a Straight six, 3995 cc, 282 bhp at 5500 rpm and 280 ft lbs at 4500 rpm. Transmission choices were the ZF 5-speed overdrive manual or Borg-Warner 3-speed automatic. Standard model top speeds could reach 148 mph. The Vantage upgrade package came with 3 Weber carburetors and other changes that boosted the horsepower to 325 and gave a top speed of 152 mph. A convertible variation, called the Volante, was introduced in 1966 at the London Motor Show. 37 cars were made from the last remaining DB5 chassis, that were shortened by a few inches. The “Volante” name is a variation of the Italian word for “flying.” In 1969, minor changes were made, such as greater wheel well flares and wider tires. This new version was called the Mark Two, or Mk2. The DB6 is a favorite of many celebrities, such as actors, politicians and even HRH Prince Charles.